1 mile east of Del Prado Blvd on Hancock Bridge Pkwy, turn left at the 1st stoplight. Click here for map. ..Hancock Park Tennis Center website! Click here for link to www.clubtennis.net, our new website. View the latest Hancock Park Tennis Center program details and sign up for events and lessons. Please contact me to check availability of classes, and so I can determine which class is right for you! Our Clubtennis Junior Academy is one of the largest tennis programs for kids in Lee County Florida! Improve your tennis game with fun, fast-paced instructional drills designed just for kids. We offer all programs for 3 year olds on up to high school kids. Clinics are offered year round, and can be started at anytime. Our 10 & Under program follows the Quickstart Format of play that utilizes smaller courts, slower bouncing balls & the right sized racquets to make the game of tennis sized just right for kids! Clubtennis Junior Academy: Click here for full program details, updates, times and requirements. Pee Wee: This exciting program is for kids ages 3 – 5 who will have a blast learning to play tennis! 10 & Under Beginner Group: This group is for kids ages 6 – 10 and will focus on teaching kids the proper strokes in tennis thru a combination of drills & games designed to make tennis FUN for this group, while they are learning the skills necessary to develop their games and enable them to move up to the Developmental group. 10 & Under Intermediate Group: This group is for kids who have played at least one season of USTA Jr. Team Tennis with some success! These kids must also be planning to play tournaments, as the focus of this group will be to help “develop” more skill to enable them to move up to the 12 & Under Developmental Group. We would encourage the kids in this group to play more than once a week. 12 & Under Developmental Group: This group is also for kids who have played at least one season of USTA Jr. Team Tennis with some success! These kids must also be planning to play tournaments, as the focus of this group will be to help “develop” more skill to enable them to move up to the Middle School Competitive group. 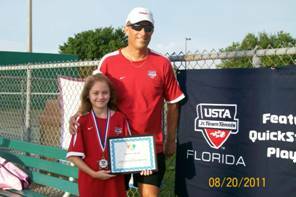 14 & Under Recreational Group: This group is for kids who have NOT played USTA Jr. Team Tennis or any tournaments. Middle School Competitive Group : This group will meet on Tuesday & Thursday, and will be filled on a first come first serve basis to the kids who commit to doing both days. These kids must be planning to play tournaments or USTA Jr. Team Tennis, as the focus of this group is to get the kids ready to be “competitive” in tournament play and prepare them for the middle school tennis season which starts the end of April. High School Competitive Group : This group will meet on Wednesday & Friday, and will be filled on a first come first serve basis to the kids who commit to doing both days. These kids must be planning to play tournaments or USTA Jr. 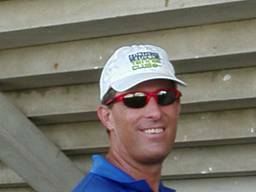 Team Tennis, as the focus of this group is to get the kids ready to be “competitive” in tournament play and prepare them for the high school tennis season which starts the end of January. We will begin to roll out a full schedule of activities for adults in the coming months! These clinics will get you introduced to the game in a fun format that will enable you to learn the game & start playing! This is a combination of a short clinic & round robin match play designed for any adult who has played before, but would still like to get some pointers! No instruction here, just get out & play! Scholarships are available for groups, camps, and tournament players. See Coach Bob for details.